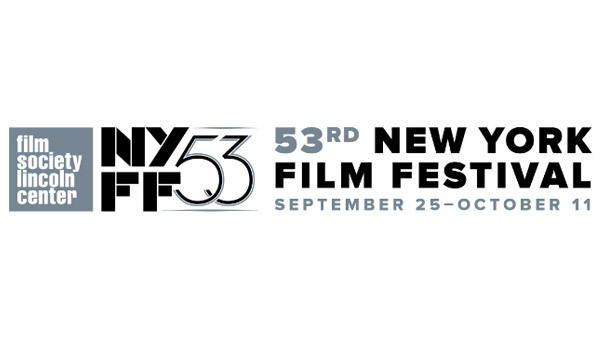 NEW YORK -- The Film Society of Lincoln Center's 53rd annual New York Film Festival is underway! Twenty-six films make up the main slate - below is much more about them from the film society. The 2015 Main Slate will host four World Premieres: Steven Spielberg's Bridge of Spies, starring Tom Hanks and Mark Rylance in the Cold War story of the 1962 exchange of a U-2 pilot for a Soviet agent; Laura Israel's Don't Blink: Robert Frank, a documentary portrait of the great photographer and filmmaker; as well as the previously announced Opening Night selection The Walk and Closing Night selection Miles Ahead. Award-winning films from Cannes will be presented to New York audiences for the first time, including Best Director Hou Hsiao-hsien's The Assassin; Todd Haynes's Carol, starring Best Actress winner Rooney Mara; Stphane Briz's The Measure of a Man, starring Best Actor winner Vincent Lindon; Jury Prize winner The Lobster; Un Certain Regard Best Director Kiyoshi Kurosawa's Journey to the Shore; and Un Certain Talent Prize winner Corneliu Porumboiu's The Treasure. Other notables among the many filmmakers returning to NYFF with new works include Michael Moore with Where To Invade Next, which takes a hard and surprising look at the state of our nation from a fresh perspective; NYFF mainstay Hong Sangsoo, who will present his latest masterwork, Right Now, Wrong Then, about the relationship between a middle-aged art-film director and a fledgling artist; and French director Arnaud Desplechin, who is back with the funny and heartrending story of young love My Golden Days, starring Mathieu Amalric and newcomers Quentin Dolmaire and Lou Roy-Lecollinet. Two filmmakers in this year's lineup make their directorial debuts: Don Cheadle with Miles Ahead, a remarkable portrait of the artist Miles Davis (played by the Cheadle), during his crazy days in New York in the late-70s, and Thomas Bidegain with Les Cowboys, a film reminiscent of John Ford's The Searchers, in which a father searches for his missing daughter across a two-decade timespan-pre- to post-9/11-from Europe to Afghanistan and back. Several titles also add a comedic layer to this year's lineup, including Rebecca Miller's Maggie's Plan, a New York romantic comedy starring Greta Gerwig, Ethan Hawke, Julianne Moore, Bill Hader, and Maya Rudolph; the moving and hilarious Mia Madre from Nanni Moretti, starring John Turturro; Michel Gondry's Microbe & Gasoline, a new handmade-SFX comedy that follows two adolescent misfits who build a house on wheels and travel across France; and Corneliu Porumboiu's The Treasure, a modern-day fable in which two men look for buried treasure in their backyard.